The Moore Stephens Europe Doing Business In series of guides have been prepared by Moore Stephens member firms in the relevant country in order to provide general information for persons contemplating doing business with or in the country concerned and/or individuals intending to live and work in that country temporarily or permanently. 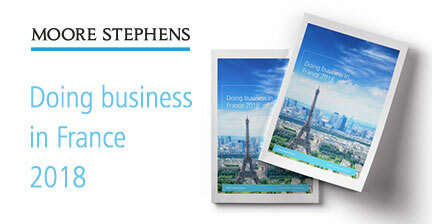 Doing Business in France 2018 has been written for Moore Stephens Europe Ltd by COFFRA. In addition to background facts about France, it includes relevant information on business operations and taxation matters. 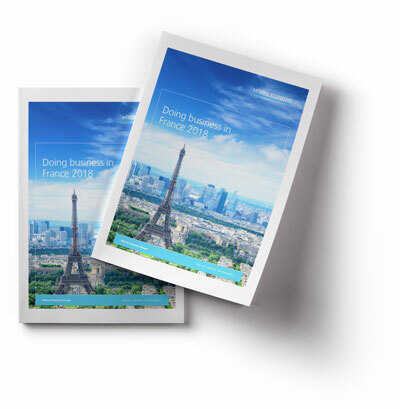 This Guide is intended to assist organisations that are considering establishing a business in France either as a separate entity or as a subsidiary of an existing foreign company. It will also be helpful to anyone planning to come to France to work and live there either on secondment or as a permanent life choice. Unless otherwise noted, the information contained in this Guide is believed to be accurate as of 1 October 2018. However, general publications of this nature cannot be used and are not intended to be used as a substitute for professional guidance specific to the reader’s particular circumstances. Moore Stephens Europe Ltd provides the Regional Executive Office for the European Region of Moore Stephens International. Founded in 1907, Moore Stephens International is one of the world’s major accounting and consulting networks comprising 271 independently owned and managed firms and 614 offices in 112 countries around the world. Our member firms’ objective is simple: to be viewed as the first point of contact for all our clients’ financial, advisory and compliance needs. They achieve this by providing sensible advice and tailored solutions to help their clients’ commercial and personal goals. Moore Stephens member firms across the globe share common values: integrity, personal service, quality, knowledge and a global view.